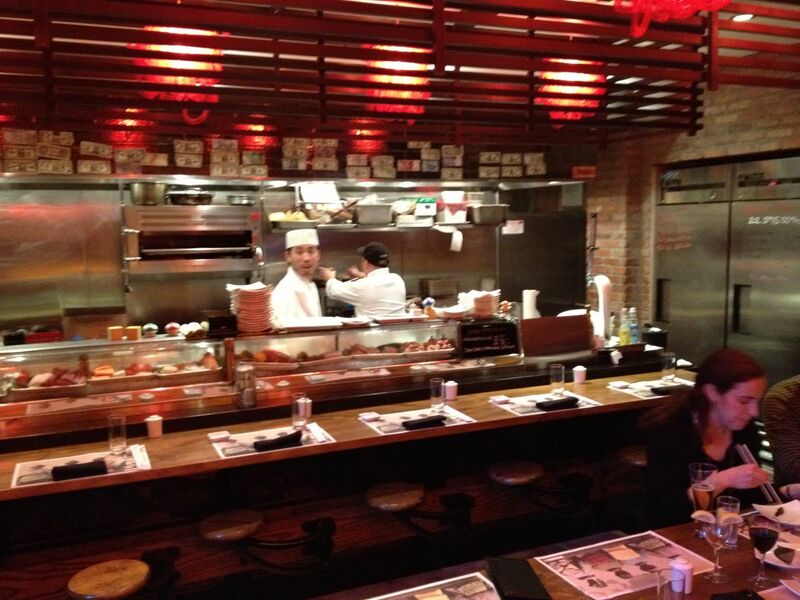 As a restaurant reviewer, I’m always asked about the hottest new (or fun) restaurants in the city. Here are three of my current favorites, each different from the next. One is clubby, fine dining, and sceney. Another is a tiny spot where fun and service are the order of the day. And the third is another scene, complete with bars and dining. I like them all. Crown -- When the Bruno Jamais supper club abandoned their turn-of-the-century townhouse near Madison Avenue, there was a collective concern for a disappearance of culinary class and quality on the Upper East Side. Chef proprietor John DeLucie saved the neighborhood by bringing the refinement, “scene” and first-rate dining experience of the Waverly Inn and the Lion uptown to the inviting Crown, the townhouse’s new resident. 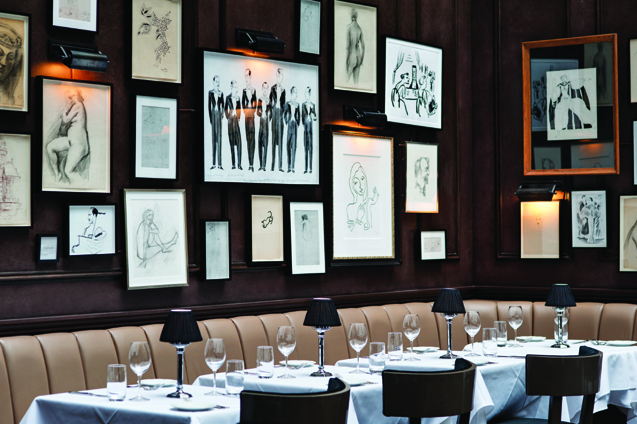 With three dining spaces, starting with a long but intimate bar, and continuing into a clubby wood-paneled dining room, and an art-filled back-room, Crown excels at providing top-rate French cuisine in an equally polished setting. The restaurant is a scene, populated by both residents of the tony neighborhood and those feeling the downtown trendy, yet upscale vibe. Dining, wines and service are excellent. Starters like Tasmanian trout tartare are expertly prepared, fresh and a bit daring with pumpernickel crisps and caperberry remoulade. Main courses are pricey but delicious, including perfectly seared Maine diver scallops accompanied by escargots to add a bit of brininess. Two meaty lamp chops, plated with Swiss chard and chanterelles, are edged with a crusty blend of salt and pepper that seals in the flavor and moisture. Ask Wine Director Jordan Salcito for suggestions from the restaurant’s 200-bottle list; her enthusiastic and knowledgeable description of each wine is like hearing poetry to the grape. We loved the silky 2010 Marcel Lapierre Morgon and the slightly minerally 2009 Clos Blancheau from Paso Robles. Both paired well with our meat and seafood choices. Geisha Table -- A tiny gem of a restaurant, with an izakaya-type menu and a focus on superlative sushi, Geisha Table offers an intimate setting for the sort of Japanese cuisine usually found at larger “designer” restaurants. The team of four executive chefs behind the counter says it all, harmoniously preparing dishes that reflect training under chefs at other top restaurants in the city and in the cuisines of their native countries, with the influence of Chef Eric Ripert of Le Bernardin (part of the original Japanese fusion team at the original Geisha) reflected in their finesse, presentation, and culinary genius. The restaurant’s a la carte menu of small plates ranges from signature sushi rolls to yakitoris (try the Australian Kobe filet mignon), tempuras and tiraditos; with entrees such as pan-roasted wild striped bass. 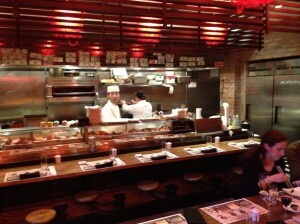 But, Geisha Table excels when a diner confidently says, “I trust you. You pick it for me.” Executive Chef Richard Lee shows off his personality and expertise with sushi selections from around the world, including live scallops from Maine or silky uni from California, complimented by cooked delicacies that on a given night might include lamb or pork belly accented with gold leaf. Be sure that the gorgeous tuna truffle sandwich on sesame “toast” is included. This entry was posted on Thursday, August 30th, 2012 at 10:49 am	and is filed under Stuff to Do. You can follow any responses to this entry through the RSS 2.0 feed. You can leave a response, or trackback from your own site.